It was a very close race, the semi-final between the Tchaikovsky and the Sibelius Concertos, but the Sibelius won by three votes! By the way, of all those who submitted brackets, we have two people who are in the running to win that cool V.com totebag, depending on the outcome of this vote. Steven Juarez, with 23 points, is the winner if the Sibelius prevails. Michael Bechtel, with 22 points, gets the prize if the Beethoven wins. My vote goes to Sibelius. Gorgeous melodies, beautiful orchestration, shows off a soloist's skills while maintaining musical integrity, emotionally engaging and complex. It's a 20th century piece- just barely- and is less mannered than 18th and 19th century works without losing structure and melody. Anyone not moved by it has a heart of stone. Also, that's one natty suit! Super surprised that Tchaik didn't make it. But ah well, Sibby's my lover. And my abuser. yeah, tschaik is popular but to me its somehow out of date a bit, there are more interesting works of tshaikowski. So I am glad about this final round. Well and here... I think Beethoven will make the run, because its the roll model VC for all the later ones. I think one cannot really compare those two violin concertos, because beethoven has an totally different ideal and approach to music as sibelius. At least I feel like that. i vote for the sibelius still. No contest. B all the way... Besides, S may be stunningly good looking but the one I would fall for is more than skin deep.. Whichever wins, I would vote (very strongly) that the best recorded performance of both should go to the great Camilla Wicks, with Walter for the Beethoven and Ehrling for the Sibelius. I like to Sibelius concerto, but come one, seriously? The Tchaikovsky is a much better crafted work than the Sibelius! The Sibelius concerto is basically one big fully-diminished 7th chord and some scales. Perhaps it's in the same league as the Tchaikovsky, but not as brilliant a work. I think Tchaikovsky would have edged out Beethoven, but Sibelius doesn't have the stamina to stay with Beethoven to the buzzer! Marty I disagree in all aspects. No need to argue with you if you simplify the sibelius like that but lets just say the last movement has everything. rhythms, scales, arpeggios, chords, melodies, harmonics... and mybe sibelius uses the deminuished so much because he knows that you can connect different harmonies with it and modulate. plus its a very violinistic chord. The last Sibelius is at least as complex as the tschaikovsky perpetuum mobile style 3. movement. Comparing Tshaikovski and Beethoven you also have to consider when a piece has been written and what it meant to that time. True that Tshaik is more showing off and virtuosic, but in musical expression and originality it cannot compare to the beethoven at all. Maybe you miss those showing off in beethoven?! Thats also why beethoven VC was underestimated for so long: because it doesn't try to be effectful. edit: you can also say about every tonal composition: "Its just a bunch of major/minor keys and some 7th chords" How intelligent would that be? You apparently haven't studied the Sibelius violin concerto to any reasonal depth. If you had, you'd understand where I was coming from. And I'm very sorry, but you've severely underestimated my intelligence. And can you look at the Berg violin concerto or or any of a number of 20th century works and say it is just a bunch of scales and dominant 7th chords? I should hope not. I'm going with the Beethoven. I like both of these concertos a lot but the Beethoven is really epic and I especially like the cadenza by Kreisler. My favorite version I have heard online is by Itzhak Perlman with Carlo Giulini. I can't choose bet. these two. But as for recommended recordings, Grumiaux for the Beethoven and Heifetz for the Sibelius. I'm wondering, how exactly do the points work? the way I saw it, was that you could only get 15 points, one for each vote. How could the two top contestants have 22 and 23 points? I think it was 1 point for round 1, 2 for round 2, 3 for round 3 and 4 for round 4. That totals 26. Dear everyone, we'll announce the winner of the prediction contest tomorrow (Sunday) and give you the stats! What a silly contest! Well, that's my opinion anyway. And how come the great Brahms concerto did so badly? Well, maybe it didn't as I haven't really been turned on by all of this and have not looked in much at all. I prefer Beethoven violin concerto, expecially Menuhin interpretation. About Sibelius i like Oistrack, Ferras and Heifetz interpretation.I listen ed both concertos in live performance and Sibelius is so different from recording performance, in live concert the orchestral part is too much poor. 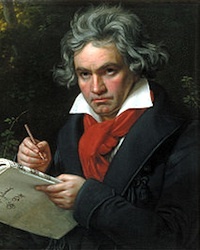 Beethoven' one is a fantastic sinphony work with violin solos. Thanks Laurie, I had fun with it. Incredibly dorky fun, but fun. And despite the fact I got creamed, I did guess Beethoven for the win, so there's that. However, I assume 75% of us picked Beethoven for the win, so maybe not that impressive of an accomplishment after all. Doesn't really matter who won (ok, it doesn't matter a lot, but YAY B!) but it was lovely to have such gorgeous sound clips presented to me each day.Thanks Laurie. This contest turned me on to the Sibelius concerto. I wasn't organized enough to submit a bracket, but when I did vote, I voted correctly on all of them except when Sibelius came up. I didn't even know what that concerto sounded like before this contest and I didn't think it would make it beyond the 1st round. So there was clearly a big gap in my knowledge that needed to be filled. Ew. No. 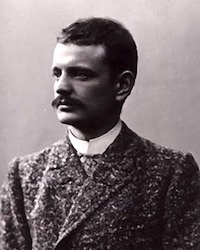 Beethoven can't even compare to the transcendent beauty of the Sibelius. Jean definitely should've won.